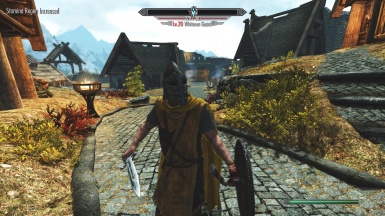 This mod automatically equips/unequips Headgears of player, Followers or All NPCs after drawing/sheathing weapons. An option for excluding guards added. 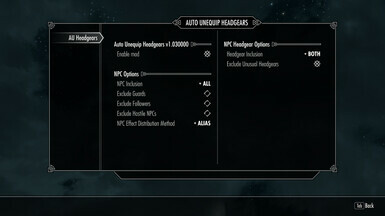 An option for excluding helmets or clothings added. An option for excluding hostile NPCs added. 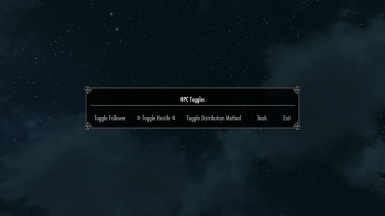 An option for excluding followers added. 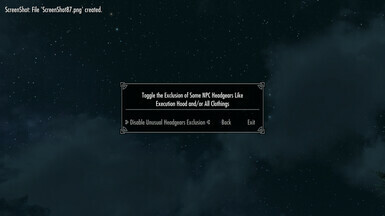 List of excluded unusual headgears increased. 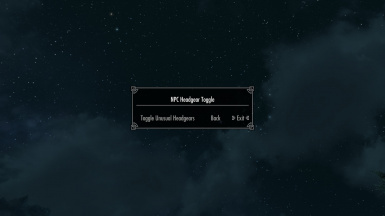 If you equip a headgear when your weapons are drawn it will automatically unequip after sheathing your weapon and if you equip it when your weapons are sheathed it will remain equipped. You can add this effect to followers or all NPCs from the MCM menu or by casting the configuration spell. If you want to add this effect to a followers headgear, draw your weapon so your follower does the same then give it to the follower. 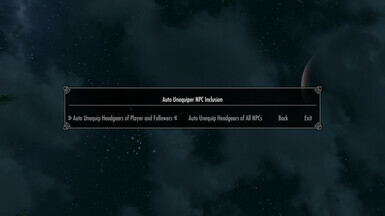 Amazing Follower Tweaks: Disable 'NPC Inclusion' or Set it to All NPCs and Enable the 'Exclude followers' option. 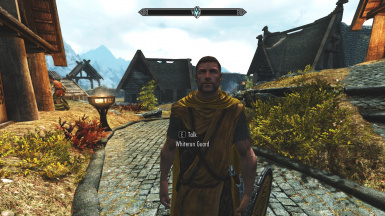 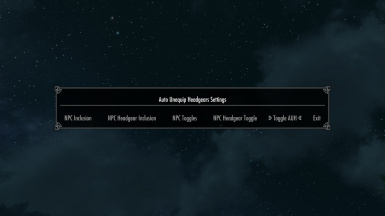 Dismiss all of your followers, go to a secluded interior cell, run the PCB console command, disable the mod with configuration spell, save your game, remove the mod, load the save game and save again then remove unattached scripts from the safe file with a save cleaner like Fallrim Tools.